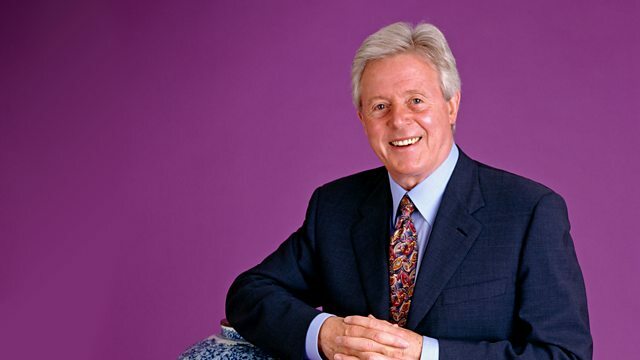 Michael Aspel and the team visit Kettering, where they uncover some fine Worcester porcelain, a selection of gruesome surgical instruments, and Frank Ifield's guitar. Browse content similar to Kettering. Check below for episodes and series from the same categories and more! the "County of Squires and Spires". most of them outside the squiring classes. and William Knibb, who went to Jamaica and joined the fight against the slave trade. the town itself was developing in ways that were sometimes more down to earth. Kettering was a good place for shoemaking. There were the necessary ingredients - water, cattle, trees. Although it became big business, much of the work went on literally at the bottom of the garden. a row of terraced houses with a factory at the end of the road, and in the back garden, the workshop. This is an original shoemaker's work bench. These are his lasts and his tools. He'd collect his leather from the factory. He'd turn out some nice size-fives and deliver them back to the factory at the end of the day. and by the 1930s, there were more than 30 footwear factories here. But shoemaking didn't suit everyone. This is a self-portrait of Alfred East and this is his palette - a bit fragile now. red oxide of iron from the garden wall, and blue from the wash house. When he was six, his father took the hint and bought him a box of paints. Alfred painted this bullfinch when he was 11.
and he worked on a grand scale. to his home town, after a banquet in his honour. Now we join the people of Northamptonshire to see what echoes of the past we shall pick up today. My husband bought him about four years ago. Um...I'm not sure about the price. -I think it was possibly £650 or thereabouts. And he's just like my cockerel at home. -Emperor. What type is he? -I can tell you what type this is. This fellow is the Paduan Cockerel. Don't ask me why he's called the Paduan Cockerel, but that's his name. He doesn't come from Padua, but from Meissen. -Just underneath here is the Meissen mark. Crossed swords. But let's just look at how they made this. It's a massive lump of porcelain. At first sight it looks more like earthenware or majolica, but it is porcelain, very highly coloured. The original model was made at Meissen in the 1730s and it wasn't coloured. the King of Poland, Augustus the Strong. He was the first person who was able to get his factories to produce real porcelain. "Now, look, you've made porcelain. -"We want some really big pieces of sculpture". "I want to put them in my new Japanese palace." -The Paduan Cockerel is one of several figures. Other figures include a lion, a huge lion. -I'll keep my eyes open for you. -A wonderful parrot sitting on a branch. At the Victoria and Albert Museum, there's a wonderful goat. -Completely white and life-size. Amazing objects. -is really a superb technical feat. -The coloured ones are much later. They're 19th century. are indicative of the late 19th century. "if it sticks out, it's been broken." and the talons on the legs, you can see restoration. Even right up here on his beak. So that's going to have some effect on the value. Shall I be cruel to you and tell you what an 18th-century original 1730s figure would have made? -Probably somewhere creeping up towards £200,000. -A wonderful present, isn't he? -He is very, very fine. which he used as shop furniture round about 1900. He was a grocer. and stack them on here, so it's had a hard life. touching it every day, and generally building in a patination, which you can't fake. -And it takes a long time to develop, and especially - look under here - this is just marvellous. The difference in colour here between the central column and this beautifully turned spiral there. -Well, that is not... It hasn't been polished that colour. -This is somebody doing this. -Your grandfather used it for food. Do you know what it was made for? -It's called a dumb waiter. -would drink port, get very drunk and eat lots of Stilton cheese. They'd pull it around the dining room like this and put wine on it. You've got wine stains, food stains, helped by your grandfather to build up a wonderful patination. Let's go to the date. The first thing we notice, it's slightly tilted. This castor came off when I moved it. -It could easily be repaired. -That's nothing serious, but that, to me, is a gem. A lovely 18th-century castor. Why is it 18th century? -It's quite broad for the cylindrical size. -This is three little bands of leather to protect the wooden floor. -And the date of this is about 1750. As is the date of the whole piece. A genuine 18C piece. You see Victorian versions of these. -Obviously, if your grandfather was using it around 1900, it might be a Victorian one. Patination's difficult to fake. They'd never put leather castors on in Victorian times. There's a little trick, a dangerous one, which I'll try. -This is a mahogany plank with the grain running this way. You can see the grain quite clearly there. It will, over a period of time, shrink slightly that way. It should be effectively oval, off-circular. which is about right, and it's a nice sign. It's not a guarantee, because all wood shrinks. -You don't see it with the eye. So it's a family piece, so it's worth a lot for you. I'd insure it for £5,000. -But watch this space because this is the best Georgian furniture money can buy. I just wonder who this wistful young lady is - have you any idea? -We haven't, but I thought it was a boy. -Ah, right! Well, it might be a wistful young chap. That's a whole new debate, I think, isn't it? At that age there was a similarity in the way they could be dressed, but what's the history of the picture? and he paid £25 for it. And there was no indication of who it was by? -Well, I think he/she is absolutely enchanting. I particularly like the way that the portrayal of her has been framed in this very, very simple way. There's no other detail or elements which might well distract oneself from how it's painted. The painting was painted at the beginning of the 19th century. Teniers and Rembrandt and so on. And the extraordinary drawing and painting of the eyes and ears, incredibly delicately painted. My ideas searching for an artist take me to Scotland. But as a picture without a name, it's still worth...£3,000 to £5,000. I'm wondering whether it could be in fact by, some would say Scotland's most gifted artist, Sir David Wilkie. he worked on larger scales - but he did a series of small pictures and he loved these with a delicate ground. -Have you ever thought that Wilkie might be...? -I felt it was Scottish. -Maybe not when I see it closely, but there might be a little bit of plaid. -Well, I thought that too. -Yes, but it's not, is it? I'm saying, "I'm being drawn in here. It looks like Wilkie, and because of the plaid it must be Scottish." -But I've got to be objective. -And how do you go about finding more about the artist? There's the records in the National Gallery of Scotland. and there's the Witt Library in London which has lots of photographs. -So I think we must look into that. -And get a photograph and do the homework. We'd just enjoy it as an exercise, whatever the outcome. £40,000, £50,000, £60,000, possibly £70,000. -Did Wilkie normally sign his paintings? -He did do a lot. -No, no, he's a banker. -Oh, I see! Oh dear, oh dear, oh dear, yes. So here we have a 1914-period Pickelhaube from the German Army. They went to war in these in 1914. -as we did, of course. -So it's a nice thing, but it's lost its leg. -There's a little bit of damage. About £75, perhaps £100 in auction. Now here we have a very nice Scottish dirk. it's an original cairngorm stone. glass stones with a silver backing. But this is a cairngorm, as these small little stones are. -It's screaming out for attention as the leather has all dried out. So you need some leather oil on that. But it is in very nice condition. It's made in Glasgow in 1868. -So you've got a nice hallmark there, worth something in relation to £1,000. -made by the Imperial factory in St Petersburg. -I thought they were bed knobs. There are all sorts of eggs. -I mean, often people would think they're bell pulls or...but you said? Don't use them as bed knobs! Oh, they're gorgeous. This one's going to be £600 to £800. This one about half of that because of the bad cracking across it. just to hold it extra steadily while travelling. And this one's got hallmarks on the back here. Made by Alexander Crichton in 1909. It's got the crest of the original owners on the top here. But a very unusual thing. A nice object. Again, a collectible piece and worth about £250 to £300. -So this is Frank Ifield's guitar? -Yes, that's him playing it there in the '50s. I'm really excited to hold it. Tell me, did he give it to you? He did. I worked in his band with my wife for about 15 years. -He was moving back to Australia and gave it to me as a present. -That's fantastic. I was a real fan. And do you know much about the guitar itself? -who went to Australia and made a big company over there. -They're more well known in Australia - Maton. In this country, they don't come up for sale at all. because it looks more like a fiddle than a guitar. And the arched top was invented by Orville Gibson in 1900.
so its intrinsic value, with no connection at all with Frank Ifield, would be in the region of £2,000. would put its value up to £10,000 to £15,000. -I know you can play it. Give us a strum. -I'll give you a little strum. We've got a range of pieces. This is an unusual clock - where's it from? Well, that was given to my grandparents on the occasion of their marriage in January 1907. We can get quite close to it by looking at the year code. So in stock a year or two, then given on that occasion. Most unusual to get porcelain clocks, and a little painted scene there. Not signed by the artist but I think it's the work of William Hawkins, a great flower painter. that you almost know them, because living in Worcester, as I did, their families are all around. And that introduced me to so many of the painters who are signed on your pieces of porcelain. Are some of these by your family? Yes, my grandmother was a Fildes. Her maiden name was Fildes. was her niece, and I feel very privileged to have two pieces that were actually painted by her. -Probably not of great value but they are sort of members of my family. -A great painter of roses and that atmospheric, shaded background, which Worcester specialised in. And then your family have been collecting pieces after that? My father had a great love of Worcester china. -And this is part of what he had left to me. -Did he know the painters himself? -he knew Harry Davis and the Stintons. -And we see their work here. Harry Davis means a lot to my family because Dad knew him very well. I was nine years old when I met Harry Davis and would spend hours as a boy watching him paint. I can see the name Harry Davis on this. You've got unusual pieces. He's famous for his French-style landscapes and sheep. What gorgeous flowers growing there. You can imagine sitting by the cottage, as Harry would have done. He did local scenes. Is that a local building? I just feel that the flowers look as if they're almost growing. They come out as if they're alive. Amazing. That's the magic of porcelain - somehow the colours are sealed there. And a great big vase by another marvellous artist - Charlie Baldwin. Bird lover through and through, and great sweeping swans there. Nowadays, collectors are keen on wares and the value goes very much by who painted them. And a little vase by Madge Fildes will be £250. A cup and saucer about £100. family piece, so it's going to be, for its rarity alone, probably £800 to £1,000. Then moving up to the top artists. And Harry Davis there on a vase and cover with an unusual scene. -I suppose it's going to be £5,000. £5,000 now for a Harry Davis vase. The painters themselves would have been shocked at these values. but here, a vase that size and quality, probably £8,000. And a vase by Charlie Baldwin is going to be £7,000. -Now, it makes you think, really. as great bits of porcelain - but now they're expensive treasures too. They came from my grandfather and I inherited them when my father died. And you haven't had them overhauled in the meantime? I had that one mended. It keeps perfect time. This is a very handsome clock. It's a Cartel clock. It's French. It's a term that they use for wall clocks. This one is made of white marble with these lovely ormolu swags and mounts. I like this dial. Do you like that? -It's pretty, yes, but I find this hides it and I wondered if that was original. It is. The glass has a heavy bevel and might look better without that. But I take your point - with that lovely royal-blue border and this superb gilt work here. Most of these French clocks, at this stage, had some sort of factory mark on the back. Usually you have to remove the bell to have a look. And there you go. There's a very small circular stamp there and that says Vincenti. They were a big French factory rather like Jappi Freres or Samuel Marti. The slight giveaway for date is this, which states the country of origin. I'd hesitate to say late-Victorian. I'd almost call it Edwardian. -But let's say 1905-1910. I think it's as late as that. Now the other one - what do you know about this one? -I think we'll put it down as being about 1830 in date. which you have here, on this sort of rope tasselled border. And you've got a lovely bow and arrows there, and then you come up to this sort of water ripple effect. -The little cherub with his lyre, of course, is also gilded. The expensive thing, comparatively, is going to be to clean the movement. And - let's have a look - yes, that movement, again, signed low down. -When we remove the bell we should see something because they tended to be signed. -I've never found a mark. Down there, I see the mark of Pons. P-O-N-S - a very nice French maker and retailer. And it's a case style that is very appealing. with the cherub on his back. Any thoughts on value? to put on the contents insurance of the house, and I was told £300 for this one. -Gosh, I'd hardly call that generous. -I'll talk in terms of what they'd realise at a good antiques fair, not just rough trade price. When that's had a little money spent on it, realistically between about £2,800 and £3,000. And the one that you had been quoted £300 on, I would be asking £4,500 as a bare minimum. This is a wonderful collection of sweetheart badges. About 20 years. The first one I bought was one of these RAF ones. That's what started me off. Then the commercial aspect set in and we have these professional ones. But a nice memento - "My son's in the Royal Army Service Corps." "Oh, my son's in the 11th Hussars." -to find here are the Canadian CEFs. -Cos it's all First World War. -And the higher the number, the rarer the badge. Did you know that? And as conscription and the volunteer service went on, they formed more battalions, which got smaller. -Small in number - the badge volume, you see, is less. -They are the scarcer ones. -They were just for the First World War. which I paid £22 for. And in actual fact it's 18-carat white gold and rose-cut diamonds. -I think it's worth more than £22. Well, one like that, I would think something like £150, even more. -Yes, I agree with that, yes. -But the whole collection here - there's 400-odd? -You're looking at a value of about £10,000 to £12,000. -And I'm not emphasising the exotic ones. It's a lovely, valuable collection. It looks to me like 15 and 15 - 1515. But I don't know whether that would be the date of the chair. -That's a bit hopeful, isn't it, 1515? But I wonder if it's not the maker's initials - IS. -It looked to me like a metallic stamp. I think somebody's pretending it's 1515. He's all right, I think, CW. I suspect it was made for CW, whoever CW was. But let's think where. This is beautiful French walnut carving. 1580-style, of really what was known as the Henry II style, Henri Deux. that's a later seat, but that's a nice solid seat. It's the style of a late-16th-century French caquetoire. That's what they were known as because you'd sit and chat away. Remember, in the late 16th century, to have any chair was pretty good. You'd be on a bench or a form, so an armchair meant you were quite important. It's probably a made-up chair but with elements of a late-Renaissance French chair. Now to value it. Let's say certainly £2,000 to £3,000. -They were in my mother's effects. -These are catheters, as you probably know. They look to be plated ones rather than silver ones. -The early ones were silver, which was nice. -Sorry, - have you got anything to say about this Steiff bear? It's not an early one. It's probably 1920-ish. The paws are not long enough. The button is actually plastic rather than metal. So I think you're looking at the second stream of 1920, still £100 though, possibly even more. Um, yes, so these catheters are probably £200. Quite a complete set. Oh, this is rather good. No relations who were in medicine? for doing gruesome things to bodies after they're dead. This set, I should think - as it's slightly rusted - you're looking at £500, £600, £700. It used to sit in my great-aunt's house with her fruit in it, and as far as I knew, it was a fruit bowl. Well, I can tell you that I've been in the silver business for 30 years. I've only ever seen two of these like this in my life. -and it is in fact a cheese stand. -For a truckle of cheese. A rounded piece of cheddar would slot in there. And they are very uncommon things. -Now, this one is actually electroplate. and they had their own date letter system for their plate. The plate was first produced in 1840 by Elkingtons. And this one here has a little date letter there - K - for 1849. So it's only nine years after the introduction of electroplate. -I think it's probably worth about £1,500. Christopher, back to caquetoire, the chatting chair, that was a new one on me. Are there many of these exotic-sounding bits of furniture? There's a long list of names. That's a Renaissance chair. You've also got a chaire, which is a chest with arms. A placette - you place it - all these names from the Renaissance. There are many other names. One of my favourites is confidante. Confidante - now let me guess. Obviously sharing some secrets? Discreet information between a young couple. One would sit one way and she would sit the other way. So you couldn't touch, you could just chat. and a little oval padded cupboard. And you open the cupboard and put a little love note in. Pembroke table. It goes on and on like that. Lovely. I like the exotic ones best. Corot and those sort of people. becomes very famous and highly sought after. And, I mean, tell me what you think about this painting. Without seeming sophisticated, I like the freehand style. in a relaxed way, as opposed to having to study the picture. I like to absorb the colours and the sort of free flow of the painting. because it speaks to you, but it sort of doesn't say a lot, does it? -Yeah, a bit too big. There's not much going on. I don't think this period is his best work. -The way he melts all this in is fine, but he hasn't done terribly well here. It's not signed, but you are quite sure it's an East? -I'm confident that it's an East. -I'm confident it's an East too. -But not one of his better ones. -Now tell me what you think about this. -I think this is far more vibrant and more interesting. It's small enough to hang in the living room. It may have been nicer if the lady was facing us. -You think that's a lady? -I think it's a good old gardener. -Of the younger male variety, but I could be wrong. Well, if he's in nettles, he's got his work cut out. I think it's a much better picture. It's more vibrant and it's a different mentality. and going to the woods and painting quite dense subjects. This is based on Impressionist principles. and landscapes and making them live. And here is a garden and it's the garden of a reasonable house. Here is the garden boy. It is a bit overgrown here, but marguerites and very French. It's not only feeling in France, maybe this is in France. But it's rather an English wood, so I think we're back to Kettering. is relatively small on today's market. -So I would say £1,500, £2,000, something like that. -Right. That's not too bad, then. This is a picture that would be desired. It's got a focal point. I can see sort of £6,000 to £8,000. -Let me tell you a story. I was working for an auction house in London as a porter. And they decided to open a specialist saleroom to deal with 19th- and 20th-century things. -And they chose me to be the first cataloguer. that I had to catalogue was a piece of Amphora. -Exactly the same factory as this, so it takes me back 30 years. -You knew it was Amphora? -Yes, I looked at the bottom. We've got a very good clear mark on there. We've got a transfer printed mark which is barely readable. -all on the bottom there. -That's what those are. I wondered. with this sort of movement. There's a lot of Vienna in this. -This is sort of Vienna Werkstatte influence. The pretty girl is a distinct bonus. It's nice having her on there. And we've got these wonderful cabochons, which have been enamelled. They look as if they're stuck on. I wondered if they were agates, but they're not, are they? No, they are actually hand painted to look like cabochon cut stones. And it works really well. There is a parallel here with an English factory called Ruskin. William Howson Taylor also made these cabochons for mounting his jewellery. Oh, did he? Yes, yes. -We're moving slight.... This is beginning to get slightly Deco-ish. And we're looking at about 1910 for this. Made by a factory called Reisner, in fact, who were in Turn Terplitz in Germany. Wonderful to have this piercing on the top. Is that gold, or gold leaf? It makes a metallic sound if you tap it. The whole thing will make a metallic sound because it's a high-fired porcelain body. And if you do that, you will get a metallic noise. This is gold. -Yes, but not solid gold. It's gold over the top of the porcelain. And this would have been painted on. And it would have then been fired in a kiln. It would come out black. And then they had to burnish it to make it come gold again. -Quite a lot of work. -This was an expensive object to make. Amphora is now very collectible. -People go for it because it really encapsulates the Art Nouveau period so well. I remember the piece that I catalogued all those years ago made a magnificent £15. -Which was quite a breakthrough. Where did you get this from? I got it at an auction in Wellingborough eight years ago. I can tell you how much I paid for it. With buyer's premium, it came to almost exactly £400. -So it's quite a brave punt. -I'd have gone a lot more. -Well, I was determined to have it. I like Art Nouveau. it would have been somewhere in the region of the right price. -It's sort of £1,200 - £1,800. -So it's done you jolly well for your £400. Thank you very much. -Thank you for your information. This is a chameleon of an artist and a most remarkable collection. This looks like Charles Dana Gibson, the American artist. And this one here too - it's sort of Scottish School. But these are incredible - illustrated letters. Look at this one. This could be almost Toulouse-Lautrec. "I'm going to start shortly and do some drawings for The Sketch." So presumably he's working for The Sketch. On this page he signs himself "Tooky". And here he is, Tooky himself, a self-portrait, looking very Whistleresque. And here's another one smoking a cigarette. Who was Tooky? -His name was AK Macdonald. I think he was Alistair. I'm not sure. -Yes, I've heard of him. I know very little about him except that I found postcards of his for sale on the Internet. for The Sketch, as he says, and quite a lot of other magazines. But he was able to adapt his style so dramatically. This one is, I think, very wonderful. Very EH Shepard - the way the rugger player is on there, running after the ball. but it's one that's certainly very different, and this one is dated January 17th 1946. So he was quite old by that time, and yet here he is, Anticipations. There are two black puddings. There he's eaten them both and looking incredibly fat. This is just a wonderful collection. So where did they come from? As far as I know, my father, who was a doctor in the town, had patients who were two elderly ladies. I believe that one of these ladies was the sister of AK Macdonald. I presume the letters came to my father as a gift. -He said he absolutely loved them and...? They are wonderful early-20th-century illustrated letters. because their value, believe it or not, is somewhere between £3,000 and £5,000. This has been one of the busiest Roadshows on record. About 3,000 people have passed through the doors. the man who started in the shoe trade and became one of Kettering's most famous sons. And from Kettering, until next week, Goodbye. Michael Aspel invites members of the public to bring along their antiques for examination. The team uncover treasures in Kettering, including a selection of gruesome surgical instruments, an assortment of sweetheart badges, fine Worcester porcelain, Frank Ifield's guitar, two paintings by local artist Sir Alfred East, and a pair of surprisingly valuable bedknobs.